Business Bay is a district on the move, packed with new developments, both residential and commercial, with an increasingly distinct identity all of its own. It may not have quite the glamour of Downtown, but its proximity to the Centre of Now, as Downtown is known, coupled with plenty of spacious apartments, makes buying apartments in Business Bay a highly desirable investment prospect. Perhaps the key attraction of buying apartments in Business Bay is its comparatively affordable prices for such a strategic location. It’s easily accessible, not only for Downtown, but also for key commercial districts, including Dubai International Financial Centre (DIFC), the World Trade Centre area and of course Bayut’s very own Dubai Design District (D3) – home to a growing number of businesses and a vibrant collection of restaurants and facilities. WHY BUY APARTMENTS IN BUSINESS BAY? Today, we take a look at the trending buildings to buy flats in Business Bay – where Bayut users are most interested in putting their money. So if you are interested in apartments for sale in Business Bay, read on. WHY BUY PROPERTY IN EXECUTIVE TOWERS? By far the most popular place for buying apartments in Business Bay is Executive Towers. The development has the advantage in terms of sheer size – there are 12 skyscrapers in all, of varying heights, the tallest over 50 floors. All of the buildings are home to a range of spacious apartments, from studios up to four bedroom pads, as well as a limited number of luxurious podium villas. At the base of the towers is Bay Avenue Mall, home to an increasingly vibrant collection of shops and restaurants, including established favourites such as Tangerine, a popular Asian Thai restaurant, and tasty Arabian and Middle Eastern fast food outlet Zaatar w Zeit. There are also supermarkets – Spinneys and Choithrams, incorporated into the development. It is surrounded on all sides by paved walkways, with plenty of outdoor dining options, and the Bay Avenue Park, which hosts events throughout the year, and is a great place to watch the Downtown fireworks and light show extravaganzas at the Burj Khalifa. The park also offers play areas for the little ones as well as a skate park for older children, and bike hire and other fun activities to keep the kids entertained. Executive Towers also has two large community swimming pools and well-equipped gyms. Now is a great time to think about investing in the Executive Towers if you are considering buying apartments in Business Bay, while prices are relatively low, as it offers an enviable location – walking distance to Downtown and all its attractions – and close to the Business Bay Metro Station and Sheikh Zayed Road, so you are well connected for locations to the North and South. All in all, it is a safe bet whether you are considering buying a property to live in, or, as an investment. If you are considering buying property in Executive Towers, studios for sale in Exectutive Tower start from AED 910,000, with prices ranging up to AED 7.55M for one of the development’s exclusive 4-bedroom 5,847 sq. ft. standalone villas. Damac Maison The Vogue is a swish development at the opposite end of the district from Executive Towers, offering beautiful furnished properties for those thinking of buying apartments in Business Bay. Apartments for sale in Damac Maison The Vogue start from AED 689,980 for a small unit. 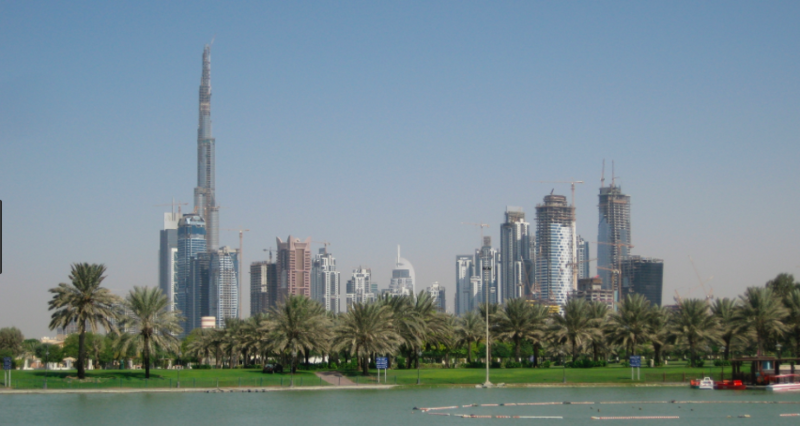 Sales prices range up to AED 1.475M for a roomier 1,013 sq. ft. unit. The development is extremely handy for the northern part of Downtown Dubai, and for those working in Dubai International Financial Centre (DIFC), as well as in and around Dubai’s World Trade Centre and Dubai International Convention & Exhibition Centre. As would be expected from luxury developer Damac, the properties offer all the luxury touches including a beautiful communal swimming pool and premium quality fixtures and fittings. You are already a very short cab ride from the Business Bay hotels and the attractions of Downtown, and as the Business Bay District continues to grow, more and more facilities will be available on the doorstep making it a great bet for those looking to make a solid property investment in Dubai. Where Business Bay differs from its high profile neighbour Downtown is the fact that the district is being developed by a range of developers, while Downtown is dominated by one – Emaar. WestBay Tower comes third on our list of popular locations to buy apartments in Business Bay. The project is still technically off-plan although a completion date is expected soon. The 34-floor development comprises, studios, 1, 2 and 3-BHK flats, and will be home to a spa floor, including a gym and swimming pool, and it is very close to Business Bay landmarks including the luxurious Oberoi Hotel. Capital Bay Towers is another chic development by Damac that offers residents beautifully appointed spacious apartments in a strikingly contemporary looking building. The development has its own small parade of shops, as well as luxury facilities including a health club, swimming pool and gymnasium, and it is very handy for district amenities including the stunning JW Marriott Marquis Hotel. While it is set back a little from the main action of the Business Bay district, the property benefits from beautiful views across Downtown and Business Bay on either side, and large balconies to give you that vital outdoor space to enjoy during the cooler months. Studios for sale in Capital Bay Towers start from as little as AED 600k (with the equivalent unit currently listed for rent at AED 55k). Those looking for larger properties will find 2-bed 1,360 sq. ft. units listed for sale at around AED 2.34M. Mayfair Residency is on Abraj Street, close to the bridge from Al Asayel Street, which leads across the Dubai Canal to the commercial and residential development of Bay Square. It is part of the fast developing community which is springing up along the sides of the expanded Business Bay Canal, meaning residents can enjoy a stroll, jog or bike, read along the peaceful waterside as part of a convenient metropolitan lifestyle. Developed by Deyaar, the building offers 1-bedroom and 2-bedroom flats. One bedroom apartments for sale in Mayfair Residency start from AED 740k for a small 614 sq. ft. unit, and range up to AED 1,959,085 for a 2 BHK unit. The development offers a swimming pool and gym as well as luxury touches including a sauna, steam room and jacuzzi.